2019 has only just begun and Jiu-Jitsu fans are already in for a fun couple of months, as more professional cards and top-notch streams are being prepared for delivery in the next few weeks. 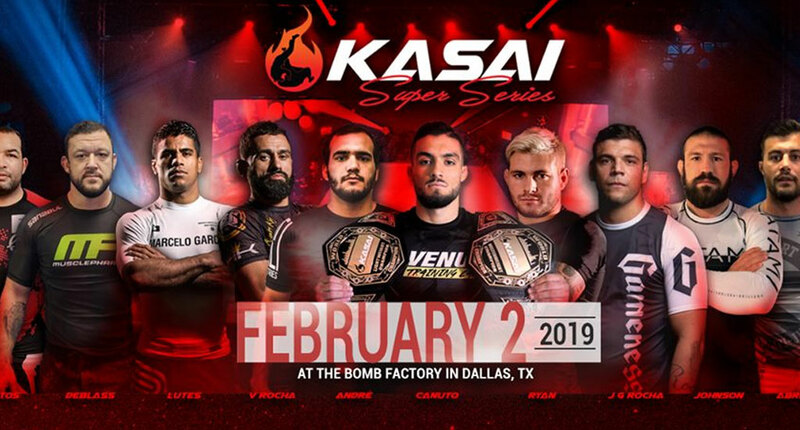 One of the stronger promotions in our sport’s professional circuit is New York based, no-gi, Grand Prix specialists Kasai Pro, who will be putting forward their first ‘Super-Series’ type event, a super-fight based format that is delivering a hand-full of high-level matches to Dallas, Texas on Saturday, February 2, 2019. Famous for their championship format, one that conveyed the crowning of Renato Canuto and Matheus Diniz in recent times, Kasai is now testing the waters with this more widespread set-up, taking advantage of this visit to the Southern territory to provide try out new ideas. One of the biggest critiques to be made at Kasai is their lack of consistency when it comes to rulesets, an aspect that makes everyone’s job harder, media or fanwise. Ryan vs Rocha is no exception, with 10 minutes under submission-only and with an extra 5 minutes of overtime in Kasai rules if no sub is obtained. 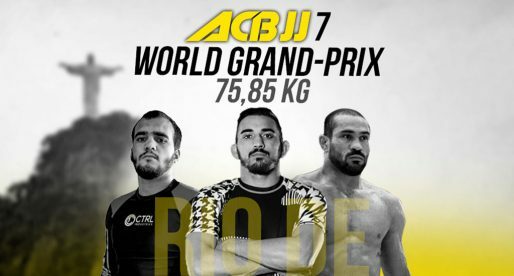 Although a veteran competitor, João Gabriel is a novice in sub-only, and the advantage here will go to Gordon Ryan – a fantastic athlete who developed while competing under that rule-set. Two very powerful athletes will collide on this main event, both with outstanding stand-up – judo style tie-ups from Rocha vs freestyle wrestling based grips from Ryan. Whoever gets to play the top game will have a clear advantage in this match, though we can also expect the threat of Gordon Ryan’s leg lock game to influence the pace and outcome of the bout. Outstanding match ahead between two athletes who enjoy setting the pace of their matches. Advantage for Canuto in the knowledge of this ruleset (being a 2x Kasai champ), also in takedown ability and strength. Marcio André is bringing outstanding mobility, and a savvy guard – although the top player will likely have an advantage on this bout. This clash will present the shap “stick and move” pace of Canuto versus the slow-cook, floating approach of André. It might be unusual to see a brown belt on the main-card of a flashy event such as Kasai, but Matheus Lutes is not your average brown belt. The student of Marcelo Garcia has found his home in no-gi recently, having two gold medals at the 2018 IBJJF No-Gi Worlds to prove it. He will be facing the outstanding Canadian, Dante Leon, who is replacing the injured Vagner Rocha. Dante is equally impressive in No-Gi having a similar style that of Lutes. Strong pressure, great back takes and not a lot of holes to explore. Both athletes are incredibly strong and fast for this weight class, so don’t blink! Dare we say, this might very well turn out to be the match of the night. Two former brown belt world champions, with Brazilian Andressa Cintra – currently based in Texas, meeting one of jiu-jitsu’s foremost globetrotters, Jessica Swanson, an athlete who has been competing and training all over the world since achieving her rank of black belt last year. On paper, this is a very even match between two young middleweights still trying to find their rhythm in the black belt division. A huge match between two charismatic veterans of the game with very similar game plans. Although slightly unusual for men of their size, both DeBlass and Bastos give preference to the bottom half guard as their path to victory, however, keep in mind these are old-school grapplers and double guard pull is likely not an option. Tom is a great entertainer and will expose himself to keep the action going, while Bastos tends to use more tentative tactics. Given the ruleset, we would say Tom is coming in with slight favoritism over Bastos. Clash of titans here between two no-nonsense competitors. 10 years ago Abreu was widely regarded as one of this sport’s very best super-heavyweights, he later moved to the world of MMA, and, since hanging his 4-ounce gloves, Demente settled in Texas, where he coaches jiu-jitsu. Facing Abreu will be Tex Johnson, a man who is at the hight of his career, coming from a fantastic 2018 grappling campaign. A win over a high caliber name such as Ricardo would surely look great on Aaron’s record, though the same could be said of the veteran Demente at this point. Once again this will be a match between two big men who give preference to the bottom game. Abreu uses the guard more commonly to sweep, with Tex being more of a submission guy. A very interesting puzzle here, with the top game advantage going to Ricardo and Johnson’s superiority coming from his killer instinct and submission relentlessness. We don’t have too much information on Texas’ own Chelseah Lyons, though she’s coming in with a Marcelo Garcia black belt, and that should be enough to take her proficiency seriously. In front of Lyons will be one of the most familiar faces of the female middleweight division, Raquel Canuto. As we don’t have a full story on Chelseah’s accomplishments it is hard to make a full assessment of this match, but expect Raquel to be the favorite here. Medrano has a hard frame to deal with in grappling, short, stocky and very powerful. One could argue that Martins has more experience in these grappling settings, though, on the other hand, Mike has more experience in dealing with leg locks – an aspect that has exposed quite a few gi specialists (Alex’s forte) in recent times. 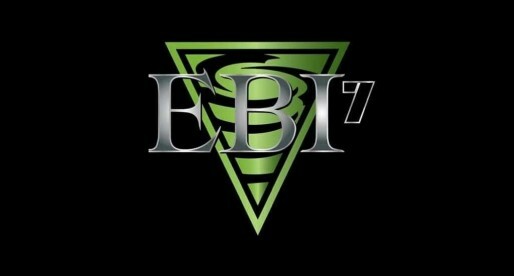 Very interested to see what comes out of this one. Together with Matheus Lutes vs Dante Leon, the Valente vs Formiga clash has all the ingredients for MOTN. Valente has had a very promising start to his black belt career, with big wins over Manuel Ribamar, Gilson Nunes, Ed Ramos, and Diego Ramalho. At Kasai he will have, yet another big name ahead in Rafael Formiga, the legendary butterfly guard wizard. Experience might play a part in this match, but as important than experience will be the length of the match – 10 minutes. 4 minutes more than what Masters athlete Barbosa may be used to over the past few years. Either way, we should have a great match on our hands. Two well known brown belts who come in with plenty of fire, both being submission oriented and no-gi specialists. Slight edge to Ocasio in this one due to the ruleset, particularly for his experience in no-gi, but Vinny is very much in this and could take the win home. Bobby Alexander vs Dulces Flores Jr.